The home pages remain free of any charge. We need donations or subscriptions to continue. Please pass on this website link to your family, relatives, friends and clients. The cover of Jill Livingston's book shows one of the dozens of historical photos she includes and the familiar shield of US99 that was partially inspired by the logo of United Pacific Railroad. When I was in high school and right after the army I used to hitchhike up and down the coast whenever the spirit moved me. The first time was in 1963 when my buddy Ben and I took a notion to hitch down Old Highway 99 to San Francisco. After a few trips you remember certain stretches of the road or a view that sticks in your mind. Most of that mileage is gone now, with occasional strips left as frontage roads, like with Route 66. We originally reviewed Jill Livingston's book in 2003, soon after publication. 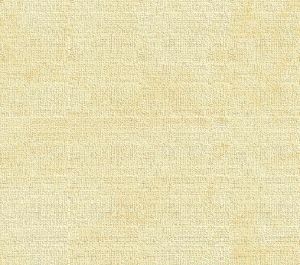 And we are reviving the story for all of you out there who still remember people or places along that Ribbon of Highway. Any time, any amount, please help build our travel and research fund for what promises to be a very busy 2011, traveling to mine resources from California to Washington and maybe beyond. Depth of research determined by the level of aid from readers. Because of our recent illness, our research fund is completely bare. See many examples of how you can aid our project and help us continue for another ten years. And subscriptions to our optional Subscribers Online Magazine (launched 2000) by donation too. Thank you. We recently visited our newest sponsor, Plumeria Bay, which is based in Birdsview, just a short walk away from the Royal family's famous Stumpranch, and is your source for the finest down comforters, pillows, featherbeds & duvet covers and bed linens. Order directly from their website and learn more about this intriguing local business. When I was just a little squirt, Dad and Mom bundled up my older brother and me in the old 1946 Plymouth and drove down for the opening of Alaskan Way Viaduct on April 4, 1953. We wandered through Ye Olde Curiosity Shop, where I saw the Lord's Prayer written on the head of a pin; at least that's what the sign said. We ate clams at Ivar's Acre of them and the folks drank clam nectar, reputed to be a drink with a special kick. I remembered that day when I read Jill Livingston's wonderful 2003 book, That Ribbon of Highway III, Highway 99 Through the Pacific Northwest. 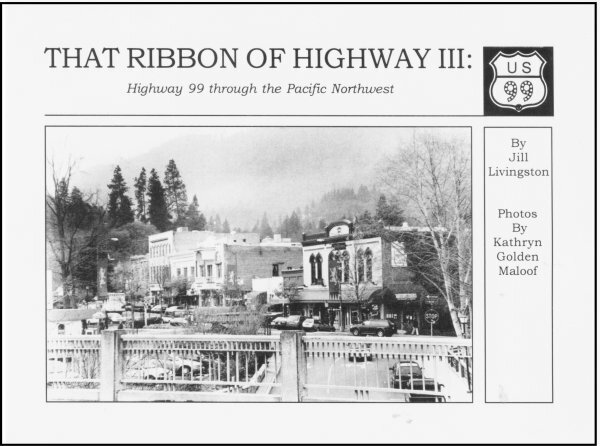 The only longer stretches of old Highway 99 are in Oregon, which are designated 99W and 99E and she explains in detail why they were designated as such. I read the book from cover to cover while traveling to Oregon on Amtrak and the rails follow the route of the old highway closely. Jill writes lovingly of the highway that replaced the original primitive chain of roads. The consolidation was originally designated as the Pacific Highway and given the US99 name in 1926. She traced the road from the beginning at the turn of the century when automobile enthusiasts began lobbying state and county governments on the West Coast for a road that would be passable during the mud in the winter and the dust in the summer. One of her most interesting tales is about Sam Hill. Although he is often confused as being the son of Great Northern empire builder James J. Hill, he was actually a son-in-law. After working for his father-in-law in the 19th century, Sam moved to Seattle and became a road nut, declaring good roads as his religion. After a road trip of only 34 miles that seemed to take forever, he vowed to build a hard-surface road that would stretch from Mexico to Vancouver, B.C. He started the Good Roads Association in 1899, when there were very few horseless carriages outside the metropolitan areas, and over the next ten years built a loop road up the north shore of the Columbia river to his home at Maryhill. Roadbed. This is more complex than it might seem. First the roadbed is leveled out "to grade." In the earliest days, grading was done by a crew of men with shovels and wheelbarrows. Horse-drawn Fresno scrapers seemed like a miracle after all that digging. And then came the motorized graders and Caterpillar tractors. The same job is accomplished today by one man (or woman?) in a giant earth mover. Naturally, more material is moved and reshaped for a modern road than was done 100 years ago. For example, an early highway engineer would have viewed a small hill as an obstacle and designed the road to up and over it or around it, whereas a modern highway will cut right through the same "obstacle." Material can be "borrowed" from one area (thence the term "borrow pit"), relocated to another area and then leveled out. The principle was the same in 1910 as it was in 2000. Surface. On top of the graded roadbed is the surfacing material. The most pressing aim was to make the road dust free in summer and mud free in winter. Additional goals were (and are) both a smooth ride and a long-wearing surface, taking into account factors such as expense and availability of materials as well as local weather conditions. Much effort goes into researching surfacing materials. Early highway engineers traveled to Europe, where road building had a longer tradition, to study their methods. There were suitable, long-lasting technologies developed in the 19th century but some were too expensive and labor intensive to be used for the thousands of miles of soon-to-be U.S. Highways in America. Examples of surfaces are dirt, gravel, planks, bricks, macadam, cement, Telford, asphalt. Bricks and planks were used in special areas: bricks for a short stretch of attractive urban road, planks in very wet or sandy areas. Everything else started out as a dirt road. Gravel was the next step up, and what had been done underneath that top layer of grave (if anything) varied. The Telford Process was invented by Thomas Telford in the early 1800s and probably was not used much out West. The road was first roughly graded and then edged by hand-placed stones. Base stones across the entire surface were also hand-placed. Then two layers of 2 1/2" stones were spread on the base and 1 1/2 inches of clean gravel on top of it all. This resulted in a very fine road indeed but imagine building 1,600 miles (the length of the Pacific Highway) of it! A cheaper alternative was macadam, invented around the same time by Scotsman John McAdam. He placed more emphasis on good subsoil drainage to keep the roadbed firm, then topped it with a thinner layer of 2-inch stones. A coating of tar (source of the word "tarmac") made the road impervious and kept the subsoil in place. Durable and attractive cement was the surfacing material of choice in the early highway era. A 1928 press release brags that all 1,590 miles of US99 (excepting 95 miles in California near the Oregon border and near the Mexican border) were paved, the vast majority of it in concrete. In the 1910s and 1920 it was a single slab of concrete 15 or 16 feet wide for two lands of traffic that was considered fantastically modern. By the 1930s, double slab was the norm, with either a second slab poured beside its older brother or side-by-side slabs poured on a new and better alignment. Triple slab showed up where a third passing lane (or "suicide lane") was deemed necessary. Jill also provides fascinating information about infrastructure along the highway, especially the bridges, some of which you can find on old stretches of the road. She starts with the old beam bridges, two of which you can still see near Ashland, Oregon, at the Steinman Overcrossing and the Dollarhide Overcrossing, both constructed in 1914. Also dating from the turn of the 20th century were the truss bridges, most designated by the name of their main builder, William Howe, a contractor in New England who patented the system in 1840. The design of a truss, which is usually a variant of a triangle, creates both a very rigid structure and one that transfers the load from a single point to a considerably wider area. You can see a lot of truss bridges crossing rivers and they are easily identified by the interlinking triangles of steel. 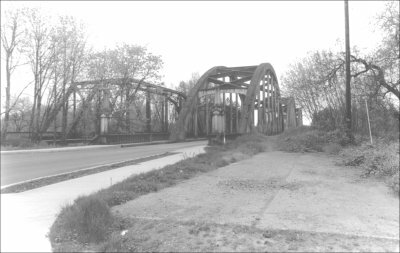 The earliest truss bridges were built of wood and bolted together with iron rivets. The publisher is Living Gold Press and the ISBN number is 0-9651377. Next, we hope to find a book or an informative source about how I-5 was built on the West Coast. When I left for the U.S. Army, US99 was still the main highway north and south and we adjusted our schedule to make sure that we did not pass Boeing at quitting time. If we did, we prepared for it by bringing dinner to eat in the car and a good book. When I returned, I-5 had been dug through Seattle and on north to Alger. Only the remaining strands of old US99 between there and Vancouver, B.C. were left to soon be replaced by new asphalt. Can you remember when the preferred route was along Chuckanut Bay, one of the most beautiful stretches of highway in the country? And when the road along Friday Creek, Lake Samish and Lake Padden was an alternate? Ah, those were the days. We are always looking for very early articles and photos about Chuckanut Drive and Highway 99. Do you have any of them in your family collection? If so, we would love to see scans or copies. We never ask for your originals. Getting lost trying to navigate or find stories on our site? Read how to sort through our 700-plus stories. debuted on Aug. 9, 2009. Check it out. See this Journal Timeline website of local, state, national, international events for years of the pioneer period. Did you enjoy this story? Remember, as with all our features, this story is a draft and will evolve as we discover more information and photos. This process continues until we eventually compile a book about Northwest history. Can you help? Remember; we welcome correction & criticism. Please report any broken links or files that do not open and we will send you the correct link. With more than 700 features, we depend on your report. Thank you. Read about how you can order CDs that include our photo features from the first five years of our Subscribers Edition. Perfect for gifts. You can click the donation button to contribute to the rising costs of this site. See many examples of how you can aid our project and help us continue for another ten years. You can also subscribe to our optional Subscribers-Paid Journal magazine online, which celebrated its tenth anniversary in September 2010, with exclusive stories, in-depth research and photos that are shared with our subscribers first. You can go here to read the preview edition to see examples of our in-depth research or read how and why to subscribe. Would you like information about how to join them in advertising? 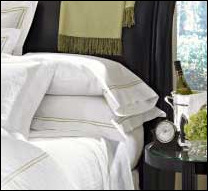 Our newest sponsor, Plumeria Bay, is based in Birdsview, just a short walk away from the Royal family's famous Stumpranch, and is your source for the finest down comforters, pillows, featherbeds & duvet covers and bed linens. Order directly from their website and learn more about this intriguing local business. Oliver-Hammer Clothes Shop at 817 Metcalf Street in downtown Sedro-Woolley, 90 years continually in business. Park your RV or pitch a tent by the Skagit River, just a short drive from Winthrop or Sedro-Woolley — doubling in size for RVs and camping in 2011. Joy's Sedro-Woolley Bakery-Cafe at 823 Metcalf Street in downtown Sedro-Woolley. or make this your destination on your visit or vacation. Are you looking to buy or sell a historic property, business or residence? We may be able to assist. Email us for details. Did you find what you were seeking? We have helped many people find individual names or places, so email if you have any difficulty. Tip: Put quotation marks around a specific name or item of two words or more, and then experiment with different combinations of the words without quote marks. We are currently researching some of the names most recently searched for — check the list here. Maybe you have searched for one of them? Please sign our guestbook so our readers will know where you found out about us, or share something you know about the Skagit River or your memories or those of your family. Share your reactions or suggestions or comment on our Journal. Thank you for taking time out of your busy day to visit our site. Mail copies/documents to Street address: Skagit River Journal, 810 Central Ave., Sedro-Woolley, WA, 98284.